From plumbing repairs to remodeling work, residential or commercial in nature, Dale Norton Plumbing Inc. is the best in the business. We deliver unsurpassed quality to our customers, performing any and all plumbing jobs quickly and thoroughly. Contact us today with your plumbing project and we’ll show you why we’re a premier choice for Newark-area customers! We’re always on time and within budget when it comes to completing your projects! Our business is recognized by the Better Business Bureau (BBB) with an A-plus rating. We’re proud to be a locally-owned and –operated business, serving the Newark, OH area. We specialize in bathroom and kitchen remodeling. Customer satisfaction is our number one priority, above all else. When you’ve got a plumbing problem, it pays to call Dale Norton Plumbing Inc. Not only are we a prompt, reliable, experienced plumber in Newark, OH—we come ready to resolve your unique problem in its entirety. We don’t put bandages on small issues and wait for them to get bigger. Instead, we resolve the entire problem right away and put the work in to make sure it doesn’t happen again. 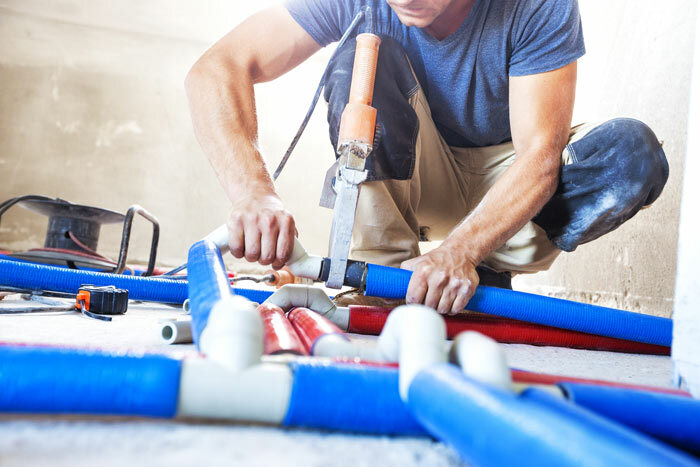 Whether it’s a small leak, a problem with your toilet, or even something as major as damage to your water lines, count on us to repair your plumbing to the highest standards of quality. The same holds true for installations and replacements—we use only the best products and top-level workmanship. Our capabilities also go far beyond your average plumbing company in Newark, OH. Our team also takes pride in executing skilled renovations for your bathroom or kitchen. From the floors to the countertops, cabinets to the plumbing fixtures, we take care of everything so you can enjoy a space that’s upgraded and tailored to meet your lifestyle. From the design to the actual renovations, trust our team with remodeling projects big and small. We guarantee you’ll be amazed with the results. See for yourself why we’re the go-to plumbing company in the area! When you need the expert oversight of an experienced plumber, contact Dale Norton Plumbing Inc. We’ll diagnose and fix plumbing problems to give you peace of mind once more.